In my career as a skin therapist, I view Age Prevention as a crucial part of your skin care routine during your 20s and 30s to minimize the outcomes of sun damage and lifestyle choices that show up in your mid-30s and 40s after ignoring your skin during these years. Microcurrent is a non-invasive procedure that re-educates your facial muscles, via low-level electrical microcurrent impulses, to lift and tone. Think of this as “facial pilates” to lift droopy eyelids, stimulates collagen and elastin, improves scarring as well as a noticeable reduction of lines and wrinkles! Vastly improve the moisture and suppleness of your skin with Yon-Ka’s high-performance, botanical Hydralessence Facial with a bonus Microcurrent Eye Lift! This facial will repair and reactivate the moisture levels in your skin to smooth fine lines, especially around the eyes where the aging process seems to be most noticeable. You’ll look years younger with bright, long-lasting effects. Seeing the beginning signs of aging can cause panic, because you know what else is coming! The first step of any Age Prevention is hydration. Dehydrated skin looks tight and gives the appearance of lines and wrinkles when you don’t really have any! This deeply hydrating, high-performance skin treatment will quickly help restore oil/water balance, suppleness, and softness with seaweed and fruit extracts. It also includes a brightening and refreshing mask, facial massage with a fine aromatic mist; and the application of a reparative, hydration-reactivation serum and finishing cream. Need a boost of hydration and glow but short on time? This facial includes all the deep hydrating and soothing botanicals of the Hydralessence Facial but with an abbreviated massage and minus a final mask. Perfect for when you need a quick refresher facial! Are you exposed to more air toxins than the average person? This facial is specifically for city dwellers and smokers when their complexion feels dull, tired and drab and are looking for immediate brightening results. The “Vital Environmental Defense Facial” detoxifies and conquers the effects of free radicals and pollutants with organic myrtle, co-enzyme Q10, vitamins E and C.
If you’re prone to rough, bumpy skin and/or blackheads, it’s likely your complexion needs regular resurfacing so it can absorb your skin care more efficiently and therefore give much better results! This resurfacing and smoothing facial uses Yon-Ka’s organically sourced fruit acid treatment to gently smooth and regenerate the epidermis for intensive cellular renewal, clear skin, and erase wrinkles and fine lines. Sometimes, when you’re struggling with uneven skin tone, texture, lines and wrinkles and maybe even acne scarring, you just want a quick acting and long-lasting solution. 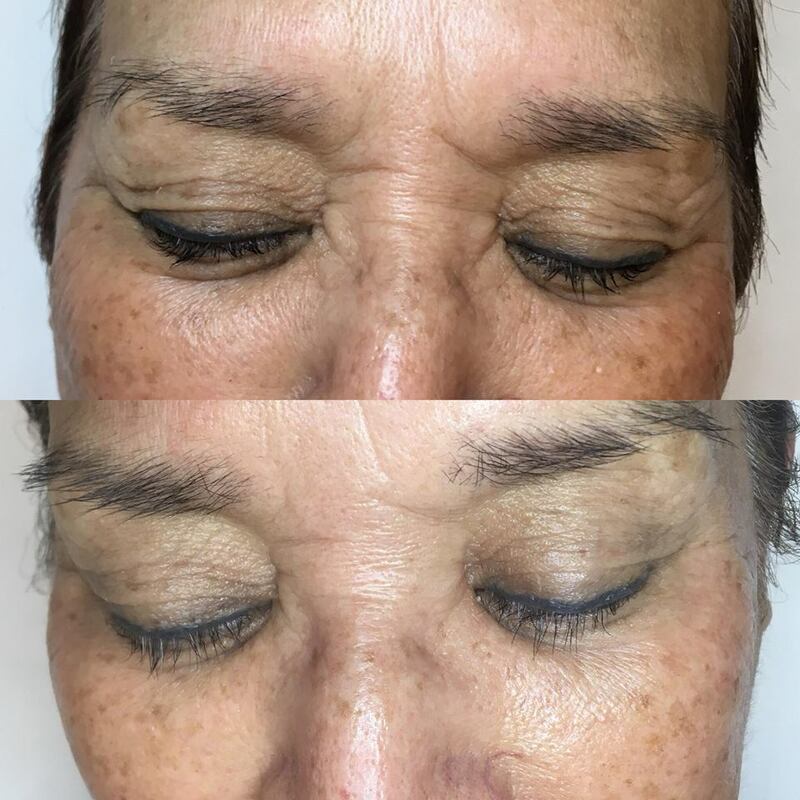 Microdermabrasion is a non-invasive skin resurfacing treatment that gently exfoliates the top layer of dead skin cells using a diamond tip and at the same time, stimulates collagen growth for a healthier and brighter complexion in a few weeks. The latest innovation in corrective skin treatments is the magic of nanotechnology. During this treatment, a handheld wand is used to create “nanoscopic” (tinier than microscopic, about 1/10,000th of a human hair) channels to push serum ingredients deep beneath the skin’s surface to quickly and easily “feed” skin cells which then repair at a faster rate. Zero downtime, no pain and immediate and noticeable results. Series of four (4) bi-weekly treatments recommended for optimal results.